We started 2018 off getting to work on some of the paramount issues plaguing modern conservation fundamentals. It seems some folks will come up with all kinds of fantastic stuff to try to shut off the line hunters and trappers have with the conservation community. We hope (and heavily encourage) wildlife managers to base hunting and trapping regulations on scientific facts, something that seems to be increasingly frustrating for critics of these activities. Here in the Northeast we’ve seen an influx in animal rights groups twisting and distorting facts to sell a narrative - and we decided it was time to address the elephant, er, coyote in the room early on in the year with one of our most popular columns of 2018: Discussing the science behind a debate on modern coyote hunting (Debate on Coyote Hunting Raises More Questions Than Answers (February 2018)). Now before some of the disagreeable critics in my “fan club” accuse me of being “anti-predator” - understand, we here at the FC recognize predatory furbearers as being just as immensely important as other wildlife; a far cry from putting them on a God-like pedestal of greatness. Predators are beneficial, but can have a detriment on biodiversity if left unchecked. These ideas would be further explored throughout the year, with our reports on Grizzly Bear management (Raw Predators: Bear Eat Bear Wold (October 2018)), Vermont Fish & Wildlife’s extensive findings on predators and Lyme disease (Predators May Not Be “Controlling” Lyme As Some Thought (November 2018)), NH Fish & Game’s assertions on the current state of our Fisher populations (Predator "preservationists" pounce on Fisher population trends (December 2018)), and of course, our two-part column on New England’s fox populations and CPUE data trends (Outfoxed (July 2018)) and (Outfoxed: Revisited (September 2018)). You’re going to see the topics of predator management in North America pop up more frequently I suspect, and we’ll be here to discern biological facts from pseudoscience well into 2019. Also in February, I headed back to Jay Scott’s studio on the Big Buck Registry podcast, for a sit-down campfire discussion on Coyote trapping and management. You may recall Jay’s expert production hand from NWTF’s Strutzone Podcast, which I was also a featured guest on with then regional director Fred Bird. BBR’s audience spans the globe, and it was a great chat about regulated predator management, as well as sustainable use of the resource once a coyote is trapped or hunted. You can listen to the podcast in its entirety here. Or head over to our “In The Press” section under the media tab! In April of 2018, the NH Fish and Game Commission presented me with the 2017 Communication Award of Excellence; due in part for my efforts in discussing conservation matters and advocating for regulated hunting and trapping through the very blog space you rest your eyes upon right now. As of 2018, I guess you could say I’m running an “award winning” website - and I’m incredibly humbled to join the ranks of some very prestigious previous recipients. There were a few ladies in the local anti-trapping circles who were less than pleased with an outspoken trapper being bestowed any kind of positive recognition - “sour grapes” I says. Maybe I’ll nominate them in 2019 so they don’t feel left out! This was a very cool topic to chat about. In June we brought to your attention the creation of “castoreum whiskey”. Local trapper Anton Kaska supplied a Tamworth, New Hampshire distillery with a few beaver castor gland scacs (which were commonly used as flavoring in all kinds of foods as well as perfumes). What was created next took the craft spirits movement by storm. The whiskey, aptly dubbed Eau De Musc, gained national attention, and through all the media glitz and glam, your’s truly also squeezed a write-up out. As a New Hampshire-based outdoor writer and beaver trapper myself, how could I say “no” to history being created right here in my backyard!? Upon receiving word of the product, I saddled up my mountain goats, headed over to Tamworth Distillery’s location, and stocked up on the rare spirit. Eau De Musc was a small-batch run, so its a little hard to come by now. I still enjoy a dram of my “private stash” while churning out conservation-minded columns for my fellow wood-boogers. You can read my full review and uncut column on Eau De Musc here. In November, we unleashed a pen-whipping on our critics the likes of which have yet to be matched by any of our other posts. “Bash Those “Lowly” Trappers, At Your Own Peril” was viewed by over 20,000 people on social media platforms alone within the first 24 hours of the column’s publishing. I know, not much by today’s “viral” standards, but for one single post - we think its cool. To date, it remains our most popular column since the site’s inception (followed closely by Debate On Coyote Hunting, Predators and Lyme, and Rise of the Dumpster Cats in 2017). The column has been featured in printed magazines across North America (which has only been achieved by 2016’s Trappers: Conservation’s Black Sheep or Unsung Heroes?). The post was created almost overnight, motivated by a non-stop onslaught of incredibly distasteful ad hominem attacks towards trappers by local animal rights activists here in the Granite State. Who’d’a thought our post would travel the globe and receive the critical acclaim that it since has. I don’t mention all this just to brag; I mention it because it solidifies, proof-positive, that people want the facts. And when you give people the tools and data to form a valid argument, there’s nothing anyone opposed to your way of life can do about it. You can read the full uncut column here in its entirety. Speaking of facts, data, and critics, Vermont Fish & Wildlife decided 2018 was going to be the year they stopped taking crap from groups hellbent on pushing hunters and trappers out of the Green Mountain State’s rural lands. After years of smack-talk, incorrect information, and ad hominem verbiage from animal rights activists in the local media (one individual in particular), the state agency decided to set the record straight with some solid facts of their own. Biologists with the state’s wildlife agency first released a comprehensive study on Lyme Disease, and mammalian predator impact on prey species like mice and chipmunks. When this didn’t quell the attention-seeking frenzy from hunting critics, the state’s Commissioner, Louis Porter, issued an editorial piece of his own. You know you’ve truly gone off the deep-end when you prompt a state agency, busy with conducting routine business, to respond to your crazy commentary. We haven’t seen a state wildlife agency bite back this hard against animal rights activism since Maine’s 2014 Bear Hunting Referendum. New Hampshire followed Vermont’s lead somewhat in a radio interview a few weeks later after activists in the Granite State accused the NH Fish & Game Department of supposedly allowing fisher populations to “decline”. Frankly, its been long overdue for state agencies and the hunting community to take a stand over conservation commentary in the Northeast. And frankly, we like it. We may not be able to completely stop the tide of criticism for proven wildlife management methods - but at least we’ll all go down swingin’. You can read my uncut column on Vermont’s findings here. You can also read up on Porter’s full editorial here. You hear me go on and on (and on and on) about the important benefits regulated activities like hunting and trapping play in today’s conservation and wildlife management realms. Well 2018 provided to be an open door for all kinds of great projects regarding furbearer conservation here in the Northeast. New York saw trappers assisting with an ongoing Fisher study. Connecticut trappers have assisted with an ongoing bobcat study in their state. New Hampshire’s trappers were called upon to assist with USDA’s continued rabies research, as well as submit tissue samples for two Canine Distemper studies involving both Fisher and Gray Fox populations. It just goes to show, licensed trappers are always willing to give back ten-fold for what they “take” from the land in a controlled and regulated fashion. These activities aid ongoing wildlife conservation programs and projects - its not really debatable at this point. 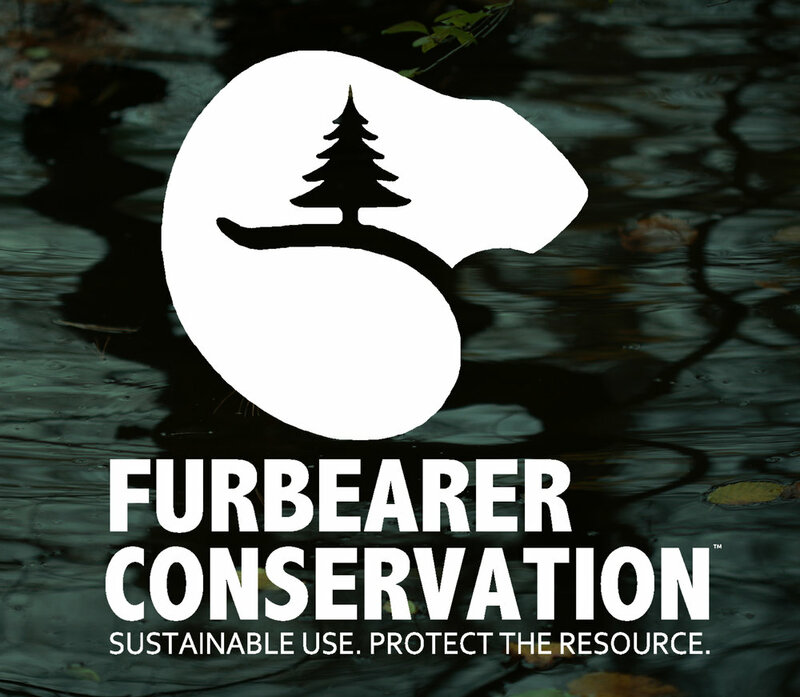 You can read more on New Hampshire’s tissue turn-in here, and get an update on all the projects we here at Furbearer Conservation are involved with by visiting our “Projects” page here. 2018 also saw this very site receive a much-needed facelift and rebranding. We shifted from a mere tongue-in-cheek nose thumbing at local activists to an all-out “matured” conservation platform. Since “Live Free And Trap” blossomed into the Furbearer Conservation think tank you all know and love today, we haven’t looked back. We have solidified endless relationships with professionals and wildlife managers, made deep-seeded contacts with big names in the hunting industry, stretched our tentacles across the globe, and nearly quadrupled our viewing audience and support base. We couldn’t do it without readers like you, and your continued support - so as we welcome 2019, we owe a big “thank you” to those of you who’ve stuck by our mission. You can read my full write-up on the rebranding here. UNH pathologist confirms first-ever US case of skunk adenovirus-1. We’ve worked with Dr. Needle on New Hampshire’s CDV studies in Fisher and Porcupine Dermatophytosis and we look forward to his future findings. NH Governor Chris Sununu gives keynote at National Assembly of Sportsmen Caucuses. 2018 saw the NASC summit take place in New Hampshire’s north country. Sununu stated via his Facebook page “‪It was a pleasure to deliver the keynote at the annual conference of the National Assembly of Sportsmen’s Caucuses! The group’s efforts to protect our proud sporting heritage and promote sustainable stewardship of our land and resources should serve as an example to us all.‬” Sununu was also the recipient of the 2018 Governor's Heritage Award from the NASC’s Governor's Sportsmen's Caucus. Otters in Florida kill family dog. Now how often are you going to read a headline like that? I’ve known river otters to be highly skilled predators; but puppy killers - now that’s a first. A prime example that regardless of species, wildlife is still wild. The Modernizing the Pittman-Robertson Fund for Tomorrow’s Needs Act passes the US House. The bill clarifies that the Pittman-Robertson fund can be used by state fish and wildlife agencies for outreach, communication, and education of hunters and recreational target shooters, including focused efforts on the recruitment, retention, and reactivation of hunters and recreational shooters through R3 initiatives. The bill will hopefully give state fish and wildlife agencies flexibility to meet the needs of constituents while also meeting wildlife conservation objectives. UMass scientists oversee first-ever sequencing of Canada lynx genome. The first-ever whole genome for the Canada lynx is one of 14 genomes the Vertebrate Genome Laboratory is making available for use by researchers studying evolution, disease and conservation. 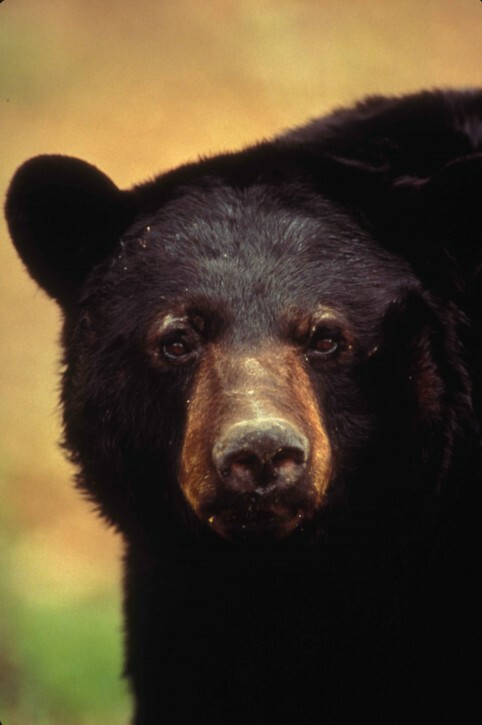 NJ Governor attempts to shut down regulated bear hunting. The move comes during a tumultuous time in North America’s conservation history, as politics continue to swallow-up ethical and sustainable wildlife management practices. Trump Administration designates October as “National Hunting And Fishing Month”. Its a great time of year to be in the woods. Interior Secretary Ryan Zinke signed a proclamation to encourage participation in hunting, fishing, and outdoor recreation across the country. And with that, my fellow sustainable-use conservationists; I bid you a Happy New Year. You can bet we have a ton of great new concepts, projects and pages being rolled out in the new year. We expect attacks on sustainable wildlife management to continue, and as such, we’ll be here with the facts, logic, reason, and a pinch of that Yankee cynicism you’ve all come to love from the typed-temper of the Furbearer Conservation website. Cheers! Newer PostAmerica's Rabid Bears: cases rare - a concern nonetheless?